Solid, hard wearing and practical. Large enough for 15 - 25 average size chickens. Coop internal dimensions excluding nest boxes: Depth 85cm (33.5"), Width 164cm (64.5"). Large door at front for easy cleaning and access. 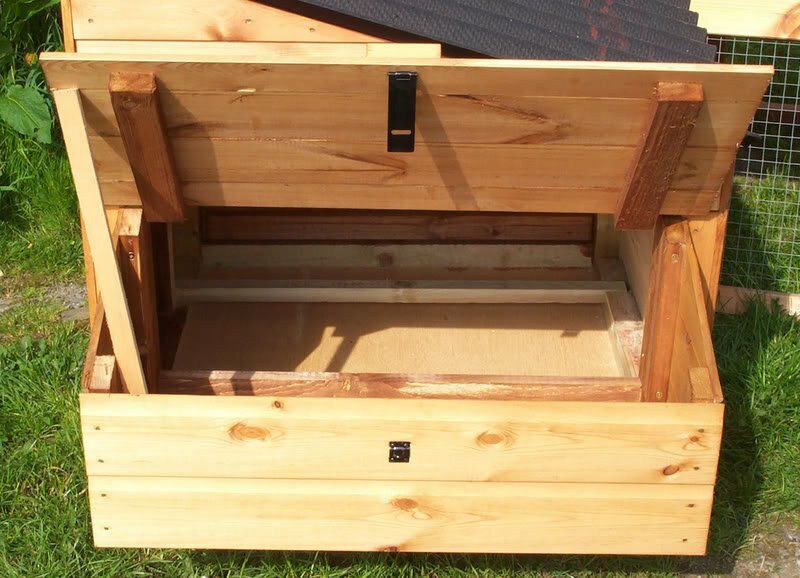 Our chicken coops come with 2 double external nest boxes and removable perches.